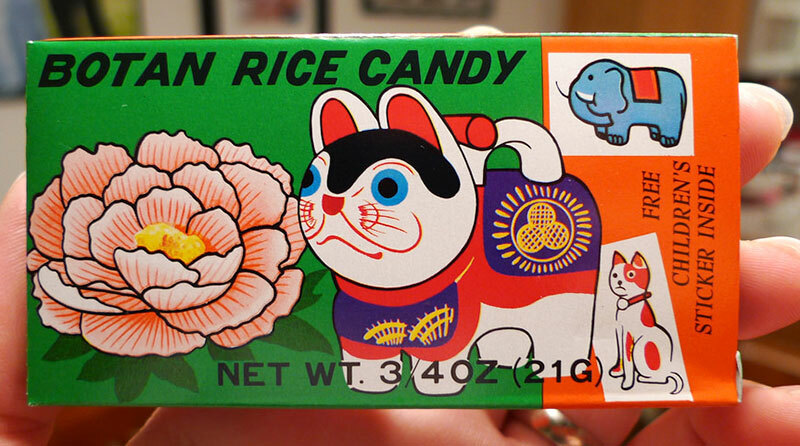 I love me some Botan Rice Candy! 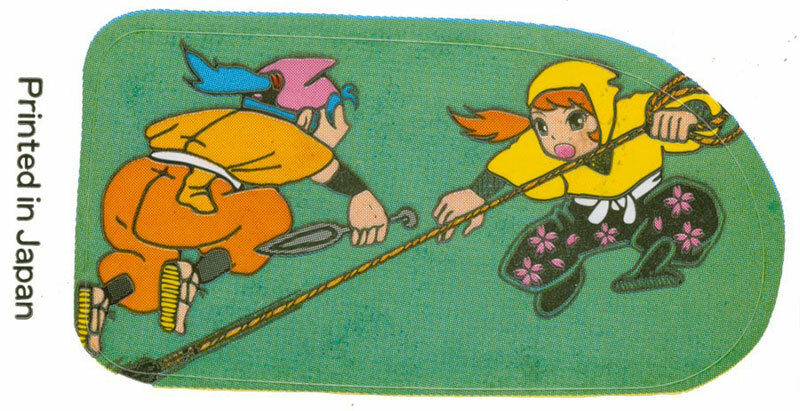 I was first exposed to the slightly citrusy chews with their dissolving edible wrappers and souvenir stickers in the 70s by my uncle Hiro, and saved a ninja-themed one from the 80s. They same candy is still being produced with the occasional ninja sticker now. Read all about the culinary merits of this superb Japanese confection at The Noodle Freak. 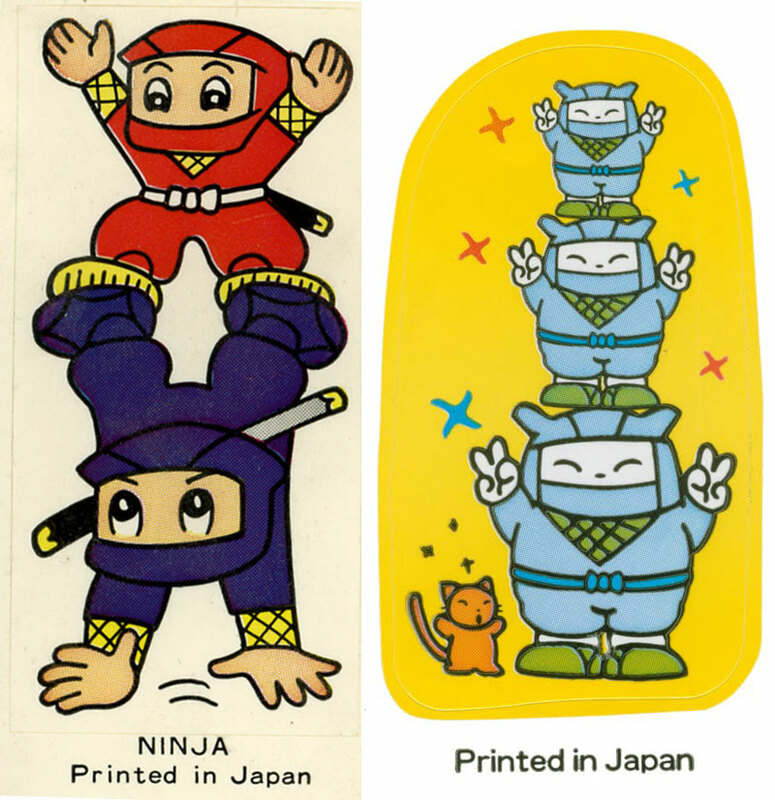 I recently scored a windfall collection of 80s era stickers, evocative of kids manga like Ninja Hattori-Kun but generic enough to avoid any pesky licensing. You can find more ninja rockers from different eras by digging through the archives of The BRC Gallery.